For those that don’t know me well, I’m not just a photographer, I’m a commercial fisherman. Every summer I spend a couple months running a commercial Sockeye salmon set net operation at the mouth of the Kvichak River in Bristol Bay, Alaska. For the past four seasons, I’ve been photographing this surreal lifestyle at our seasonal squatter camp in an abandoned cannery called Graveyard Point. I first discovered Graveyard while shooting for this Outside Magazine piece back in 2008 and immediately fell in love with the place. Images from the new series are scheduled to launch along with a whole new website redesign very soon! 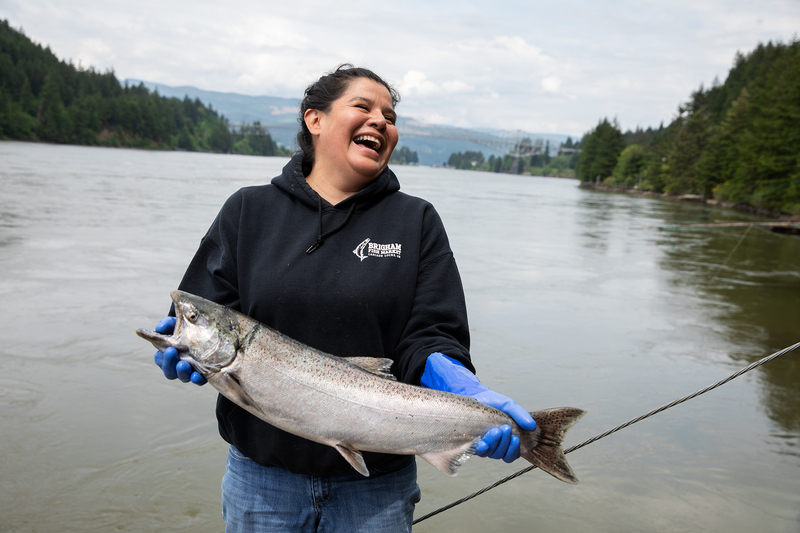 The Pebble Partnership is a coalition of huge foreign mining corporations who have staked out mineral rights in the headwaters of two of the largest wild sockeye salmon spawning rivers left in the world. If allowed to proceed, these corporations will dig one of the largest open pit mines in the world. A lake would be needed to contain the up to 10,000,000,000 tons of toxic mining waste which would then be contained by an earthen dam larger in mass then the Three Gorges Dam in China (in an extemely seismic location). In my mind, it is not possible for a mine of this scale to co-exist with the approx. 38,000,000 sockeye salmon returning each year to Bristol Bay to spawn. Given the poor track record hard rock mining has had in regards to clean water, and the sheer scale of what these guys are trying to do, I cannot imagine this story ending in anything less then an unfixable environmental catastrophe and at best, and economic disaster for the fishermen and natives that are sustained by Bristol Bay salmon. We’ve already devastated most of the great salmon runs in California and the Pacific Northwest due to dams and pollution. 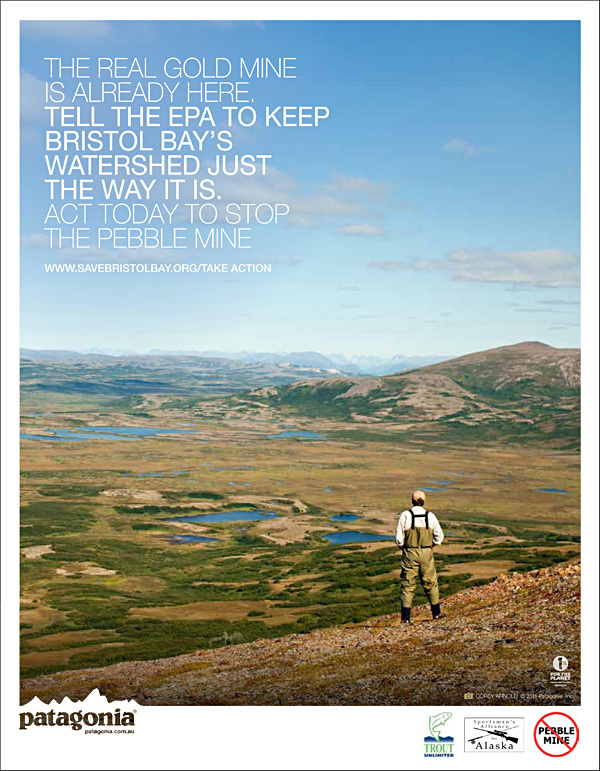 Let’s make sure that Pebble Mine doesn’t happen to Bristol Bay. I’ve teamed up with Trout Unlimited, the Renewable Resources Foundation, and others to fight the massive propaganda campaign paid for by Northern Dynasty Minerals (Canada) and Anglo American (UK). We desperately need the EPA to step in and assess the situation as so far, the mining corporations have been responsible to hire their own “environmental impact studies” with virtually no public oversight. 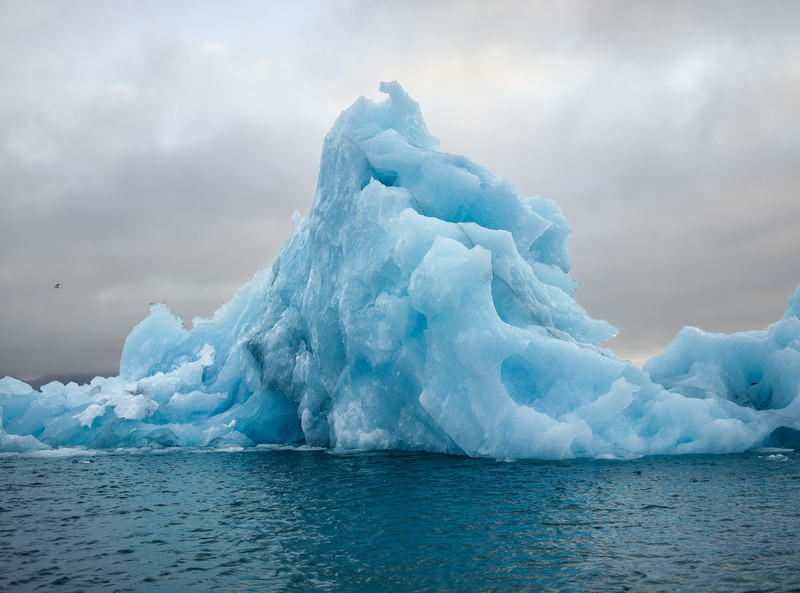 Check out the Save Bristol Bay website to find out more about what you can do to get the word out and decide for yourself. On the back cover of the December 2011 issue of Alaska magazine is a portrait I shot this summer of my fellow fishermen at Graveyard Point. 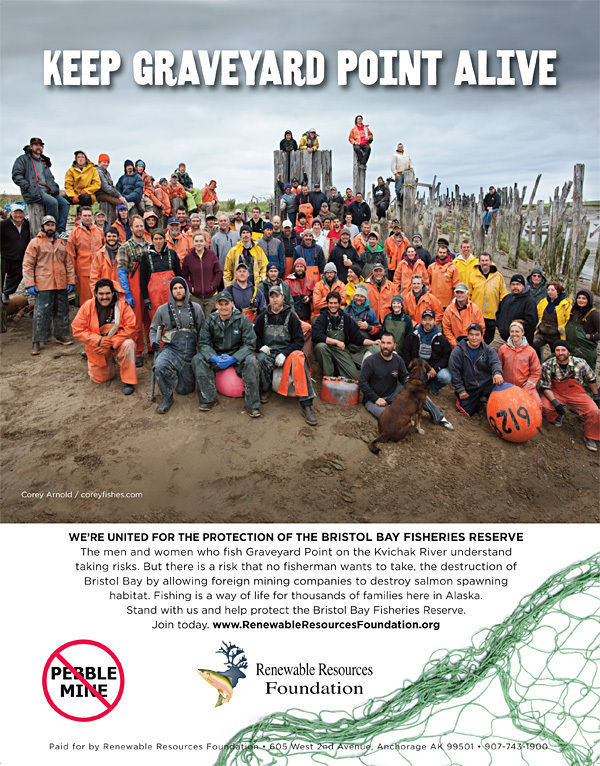 Thanks to the Renewable Resources Foundation who is doing good work to protect help save the future of the people that co-exist with the Bristol Bay ecosystem. Also thanks to all my fellow Graveyarders for coming out in force to sit for this photo! I can’t wait to get back out there in June. This entry was posted in assignments, Fishing Related, New Pictures, Press Reports, travel journals and tagged arnold, catch, commercial, corey, coreyfishes, deadliest, death, environment, fish, fishing, hansen, mine, photo, photograph, photographer, photographers, photography, pollution, red, Redeye, sig, sockeye, toxic. No doubt this mine is no good for the things we hold dear!! I am glad to see you and trout unlimited taking a stand. Keep up the good work!